Wednesday February 13, 2019 - President Uhuru Kenyatta has ordered striking nurses in the country to resume work by Friday or be sacked. 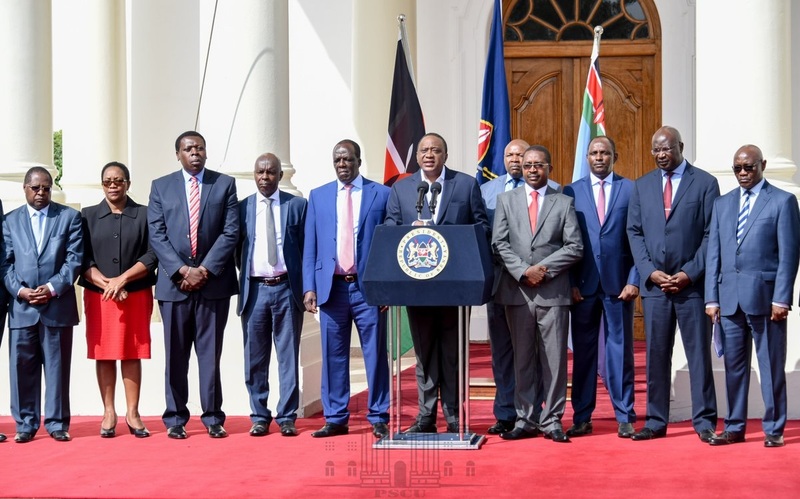 Speaking while addressing the nation on Wednesday after meeting the Council of Governors, Uhuru said Kenya has a clear development agenda and they cannot allow unlawful industrial action to derail Kenyans from taking the country forward. “The Government will be at liberty to take any action as they deem appropriate," Uhuru said. The Head of State also urged the police to arrest all those nurses who will protest and put them to jail. "As the Commander-in-Chief, I have instructed the National Police Service to take stern action against picketers who might harass public service for going to work," he said. The President also said it is disheartening to learn that some nurses have decided to engage in an unlawful withdrawal of their labour to Kenyans against the determination of the court which suspended any industrial action. “One of the most important principles our republic has established is the rule of law and no one is above the law," he said. vampire pay the nurses and don't force them to appear to work on Friday when your abyss regime hasn't paid them their dues. You can't have our taxes to loot and spend on you useless abroad trips that is blowing our taxes. If your regime is broke to the core, tell Kenyans, and they will give you a vote of no confidence cos your mpigs don't have the balls and pussies to vote you out. You are a burden to the republic of Kenya.